Sick of writing your novel? Sure, I may be biased since I run Splickety Magazine, a flash fiction publication dedicated to showcasing the country’s best quick fic with kick, but we all know how difficult it can be to finish a novel. The solution? Write some flash fiction (a short story 1,000 words or less). 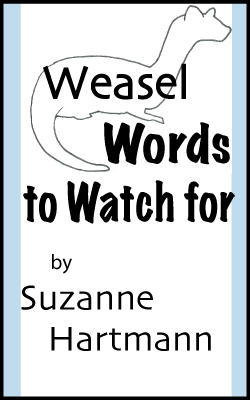 Of course you want to write good flash fiction, right? There are four elements that every flash fiction piece needs to have if you want it to be good. And if you mix them just right, your flash fiction might even end up great. The obvious concern in flash fiction is “how do I make my characters and setting real in 1,000 words or less?” I have a few suggestions for you. ¤ Show us things about your characters/settings that make them unique. In other words, skip the boring stuff—your readers can fill that in on their own. ¤ Keep your number of characters and settings low. One major or supporting character per every 300-500 words is a good metric, and most flash fiction stories only have one setting. ¤ Stick with one character point of view if possible, or maybe two. ¤ Whenever possible, write dialogue that both advances the story and reveals character. “My story can only be 1,000 words long. Do I even need story structure?” Of course you do, perhaps now more than ever. A solid percentage of the stories Splickety rejects are for one reason: nothing is happening. Adding story structure and having a recognizable plot can help you get published instead of rejected. ¤ Establish a recognizable beginning, middle, and end. Your story can begin in the middle of something, but the conflict and characters have to develop in the middle. We also need some kind of resolution at the end, even if it’s somewhat obscure. ¤ In your beginning, start with a gripping hook (just like in a novel) to pull us into the story. ¤ Your end line should also pack significant punch. ¤ Remember: above all else, something has to happen. If you haven’t heard by now, great fiction of any length needs both conflict and tension in order to drive the characters and the plot. There are two kinds of conflict under which all other kinds fall: internal and external. Both are useful tools for motivating your characters and moving the story along by creating tension. ¤ In general, conflict means that something opposes your character. ¤ Internal conflict means that something within your character opposes him. Ask him questions to figure out what it is. Is it a hidden disease? A hurt from his past? A dark secret? Self-doubt? ¤ External conflict comes from outside the character, usually from one of three sources: other characters (antagonists), the setting, or events. ¤ Combine the two types of conflict against your character and he’s in for a rough ride—which means your readers can expect a compelling story. *Not all conflict in your story has to be resolved in the traditional sense. It’s okay to let the reader wonder how things worked out as long as you plant clues that give them an indication. If you’ve ever seen the movie Inception, you know what I mean. Yes, you need to pay your flash fiction the same respect you’d pay your novel by ensuring that it is well-edited. Some of us are capable editors on our own, but that doesn’t mean we shouldn’t get help here. For example, I run a flash fiction magazine, have written six unpublished novels, and also hawk my own services as a freelance editor. Of anyone in the world, I should be the most likely person to not need an editor for my own flash fiction, right? Wrong. 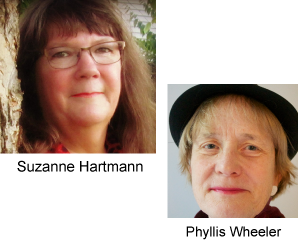 Though I combed through my most recent flash fiction piece (set to debut in the holiday issue of Splickety Magazine) with unparalleled obsession, I sent it to two authors whom I trust for their review as well. Guess what? They both found errors and places where I could improve the story. No matter how good of a writer you think you are (or actually may be), you need to have another set of eyes read and edit your piece before you submit it, especially if it’s to Splickety. We even included that provision in our submission guidelines. ¤ Remember that every word cut is to your benefit. You never know when you may have to add more content later on. ¤ Utilize others: critique groups and partners, test readers, or hire a professional. ¤ Make sure that you follow all submission guidelines. That’s something that publishers really want you to do. So there you have it. Do those four things and you’re set on flash fiction for life. 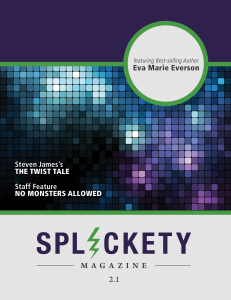 Shameless plug: Splickety Magazine is your source for high-quality flash fiction—for quick fic with kick. We have three subscription options of which you can take advantage, if you like. For a limited time only, visit our printing partners at MagCloud to download our fourth issue (1.4, yellow cover) for free. Read some great flash fiction there, and then go write your own. 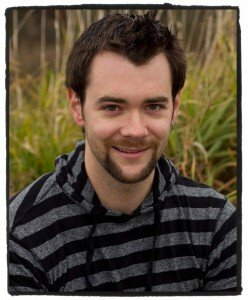 Ben Wolf is the Executive Editor of Splickety Magazine, your source for flash fic with kick. You can subscribe to Splickety either digitally or in print via the website, www.splicketymagazine.com. When not managing Splickety, Ben writes action-adventure fiction and edits a variety of writing projects from novels to graduate degree papers on a freelance basis. In what little spare time he has, Ben enjoys volleyball, sword-fighting, and video games. Like him on Facebook at www.facebook.com/1BenWolf.